(MoneyWatch) When is the best time to claim Social Security benefits? It's certainly not a snap decision, considering Social Security's complex rules, which I've previously written about as part of my series 16 Weeks to Plan Your Retirement. In these earlier posts, I illustrated how there may be hundreds of thousands of dollars at stake for you, depending on when you first draw down on your benefits. Because of both the complexities and the high stakes, many people may want to work with a qualified financial advisor who can help them make an educated decision. The problem is that many financial advisors are trained in investing and saving for retirement, but few may have the training to help you make the most of your Social Security benefits. So how do you find out if a financial advisor is aware of the various strategies you can use to optimize your Social Security benefits? I posed this question to Joe Elsasser, the creator of Social Security Timing, a software system that helps individuals and financial planners analyze the best ways to claim Social Security benefits. He offered five questions to ask potential advisors as well as answers that should raise red flags in the minds of potential clients. Question No. 1: "I'm looking for lifetime, guaranteed, inflation-protected income. Where should I start?" Red Flag: If their answer is anything other than Social Security (for instance, an annuity), run! As the Center for Retirement Research points out in this article, "buying" more Social Security income is much more efficient than buying more annuity income. Question No. 2: "How can I get the most out of Social Security?" Red Flag: "You have plenty of other assets. Social Security won't be that important to you." Not true! The average couple receives $556,000 in lifetime Social Security benefits, according to the Urban Institute. You would have to have a lot of money set aside for retirement not to care about more than half a million dollars in income. Question #3: "How will my Social Security income be taxed?" Red Flag: "It's 85 percent taxable." For affluent retirees, this may be true, but it isn't if your income is less than $100,000. Question No. 4: "How can we get more from our spousal/survivor benefits?" Red Flag: If they know nothing about switch strategies, such as Restricted Application and File and Suspend, both of which allow you to collect spousal benefits while your own benefit continues to grow, they can't help you. Question No. 5: "Since Social Security is broke, shouldn't I just take it as early as possible?" Red Flag: If they stumble on this answer or, worse, agree with you, you need to find someone who knows their stuff and can help you get it right. Whenever Congress has made changes to Social Security in the past, the changes were applied based on your year of birth, not on the year when you started your benefits. Question No. 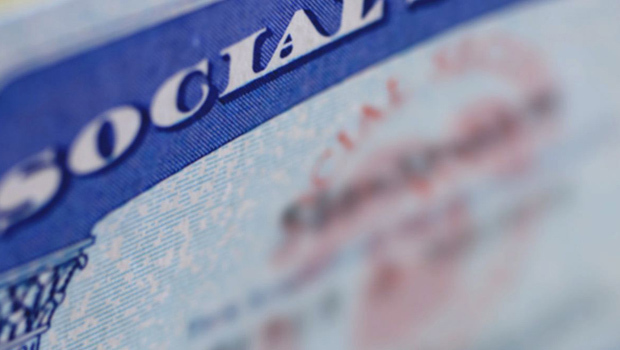 6: "When should I access my Social Security benefits?" Red flag: "As soon as possible. Even if you don't need the money, invest your Social Security income with me, and I'll get you a much better return on your savings." This answer displays an ignorance of the value of the guaranteed lifetime retirement income from Social Security. The reality is that most advisors don't outperform standard indices such as the S&P 500 after factoring in their fees and underperformance. The odds are high that you'll get less income over your lifetime, not more, by claiming Social Security benefits as soon as possible. The Social Security Timing website identifies advisors who've been trained to use the software developed by Elsasser. It's a good place to start looking for an advisor who can help you max your Social Security payout. For many people, particularly those with meager retirement savings, this will be the most important retirement planning decision you'll make, more important than investing your savings. It's well worth your time to seek the right professional help and do the job right.